The Karma Earrings: "What comes around goes around!" 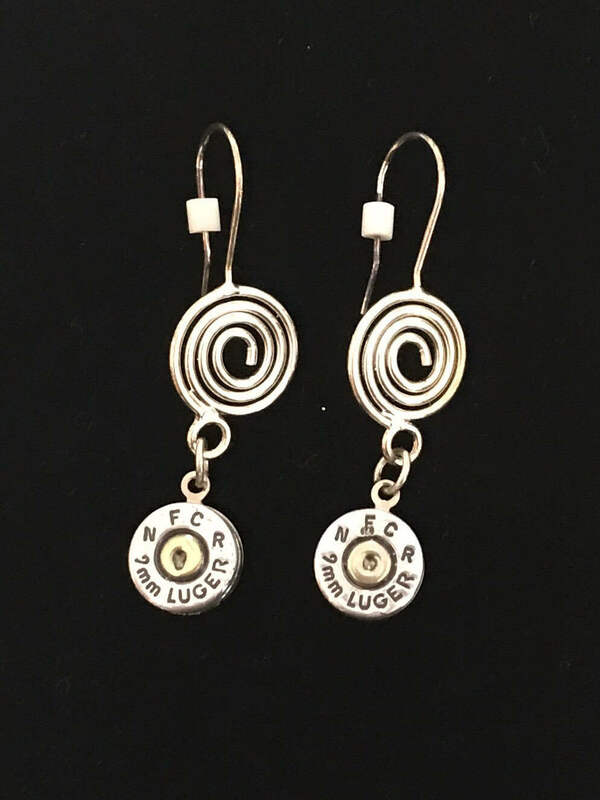 Beautiful 9mm bullets highly polished and made into silver swirl earrings. If you desire colored crystals, please include the color in the notes to seller section. This particular design is called Karma- what comes around, goes around! Look for the coordinating necklace. **All ammo items are highly polished and then are clear coated which helps to prevent tarnish. If you desire a rustic, non-polished bullet, please Convo me before purchasing.